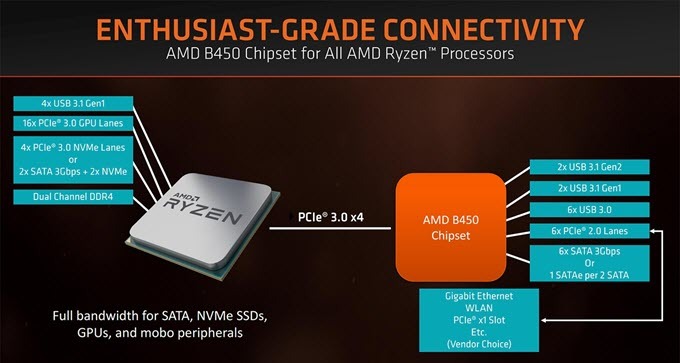 AMD has finally come with up its new B450 chipset especially for 2nd generation AMD Ryzen processors based on the AM4 Socket. This is the second chipset in the AMD 400 series chipsets for AM4 socket processors. Up till now we only had X470 chipset which is a high-end chipset for AMD Ryzen 2000 series and first generation Ryzen processors. AMD X470 motherboards support some of the advanced and new features such as Precision Boost Overdrive, XFR 2 Enhanced, and StoreMI technology that are not supported in the previous AMD 300 series motherboards, including the high-end X370 motherboards. The new AMD B450 chipset is aimed at mainstream segment and supports overclocking and advanced features such as Precision Boost Overdrive, XFR 2, XFR 2 Enhanced and StoreMI technologies that were only supported in the X470 and X399 motherboards up till now. Compared to B350 chipset sibling, there is not much difference between these B450 and B350 except for the inclusion of StoreMI, XFR 2 Enhanced and Precision Boost Overdrive technologies in the latest B450 chipset. Also, B350 motherboards do require BIOS update to support AMD Ryzen 2000 series processors which is a very frustrating job. It must also be noted that XFR 2 Enhanced 2 and Precision Boost Overdrive features only works with AMD Ryzen ‘X’ processor. On the other hand when we compare the B450 chipset to X470 chipset then the major difference is that there is no PCI-E bifurcation in B450, less number of PCIe Gen 2 Lanes (6 only) and lack of SLI support, otherwise B450 offers all the goodies present in X470 that includes same USB 3.1 Gen2 / Gen1 ports, USB 2.0 ports and AMD Crossfire support for multiple GPU setup (mGPU). AMD motherboards based on the X470 chipset are expensive and it takes a toll on your budget if you try to build a budget to mid-range gaming PC with Ryzen 2nd generation processors. This will not be a problem anymore because B450 chipset is a mid-range chipset and motherboards based on B450 chipset are cheaper than the ones based on the X470 chipset. So, now you can easily build a powerful budget to mid-range gaming PC using B450 motherboard and Ryzen 2000 series processor, and here in this post I am going to list down the best budget B450 motherboards and best high-end B450 motherboards for gaming. *StoreMI is a storage technology that combines the goodness of both SSD and Hard Drive into a single working entity and provides you the benefit of both these devices i.e. speed of SSD and storage capacity of a hard drive. *XFR2 Enhanced is a an edge above normal XFR2 and it allows automatic overclocking of your Ryzen ‘X’ processor to reach much higher frequencies depending on the cooling provided. *Precision Boost Overdrive feature can automatically adjust frequencies and voltages of your AMD Ryzen ‘X’ processor for much higher overclocking. You can enable this features in the BIOS. 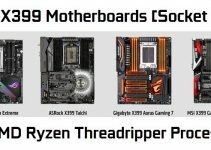 Below are the best budget B450 motherboards for gaming having mATX form factor and supports AMD processors with AM4 Socket. 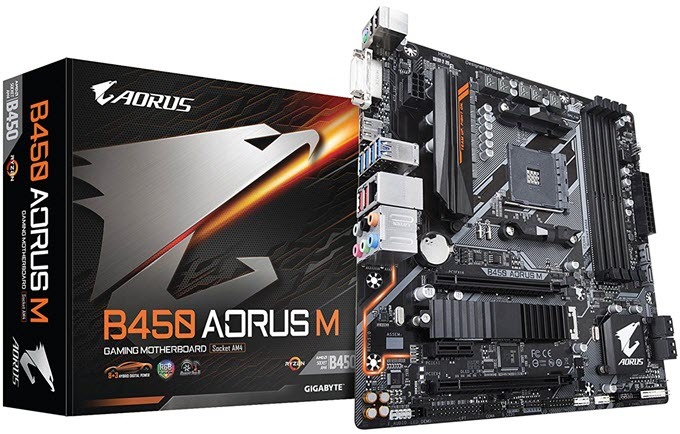 Gigabyte B450 AORUS M is an entry level AORUS Gaming motherboard based on the mid-range AMD B450 chipset. This is a micro-ATX motherboard and can easily fit in mini-tower, mid-tower and higher form factor cases. This budget B450 gaming motherboard packs almost all the features that you expect from a gaming grade motherboard. 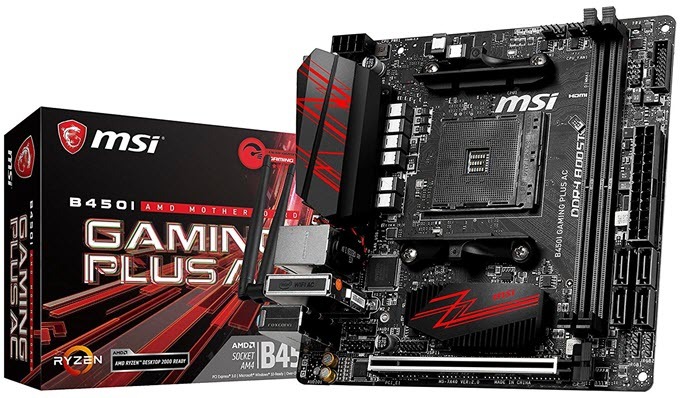 The motherboard comes with two PCI-E x16 graphics card slot supporting 2-way CrossFire, one PCIex1 slot, M.2 slot for connecting M.2 SATA SSDs and PCIe Gen3 x4 NVMe solid state drives up to Type 22110 and supports DDR4 RAM (3200 MHz) up to 64GB capacity. The motherboard supports CPU and Memory Overclocking, and comes with features such as 8 channel onboard audio, Gaming LAN, RGB and RGBW Header, RGB Fusion support, UEFI Dual BIOS, USB 3.1 Gen 2 and Gen 1 ports, Smart Fan 5 fan control software, M.2 Heatsink for cooling M.2 SSD and display ports that include DVI and HDMI. Overall, a powerful budget motherboard for building a mid-range gaming PC using 2nd Generation Ryzen processors. 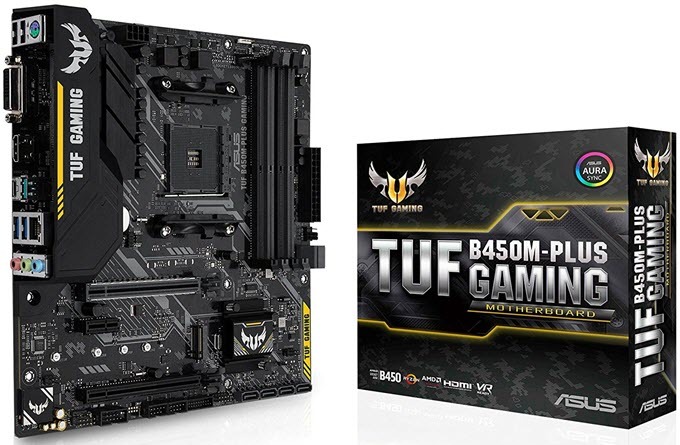 ASUS TUF B450M-PLUS GAMING is a TUF series Gaming motherboard that are known for its more reliable and durable components. These motherboards are built like a tank and comes with extra protection for various chipsets and components on it. This AMD B450 chipset motherboard has Micro-ATX form factor and can fit micro-ATX PC cases and higher. The motherboard comes with dual PCI-E x16 slots with AMD CrossFireX support, one PCI-E x1 slot and one M.2 slot for M.2 SATA and PCI-E NVMe SSDs. The motherboard supports DDR4 RAM 3200 (O.C.) up to 64GB in dual channel mode. Other main features of this motherboard include USB 3.1 Gen 2 ports, USB Type-C port, Asus SafeSlot for protection from heavy graphics cards, 7.1 channel Realtek audio, Aura RGB Sync LED Lighting support, Gigabit LAN. The I/O ports are protected by a stainless steel cover or plate. The motherboard is equipped with Military-grade TUF Components that include TUF LANGuard, TUF Chokes, TUF Capacitors, and TUF MOSFETs. So, if you are looking for an ultra-durable B450 gaming motherboard in budget then this one will definitely excite you. Note: There is also a bigger ATX version of this motherboard which is ASUS TUF B450-PLUS GAMING. It comes with extra expansion slots and ports but is also a bit costlier. 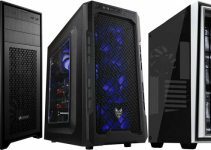 You can check both these mATX and ATX variants from the links given below. 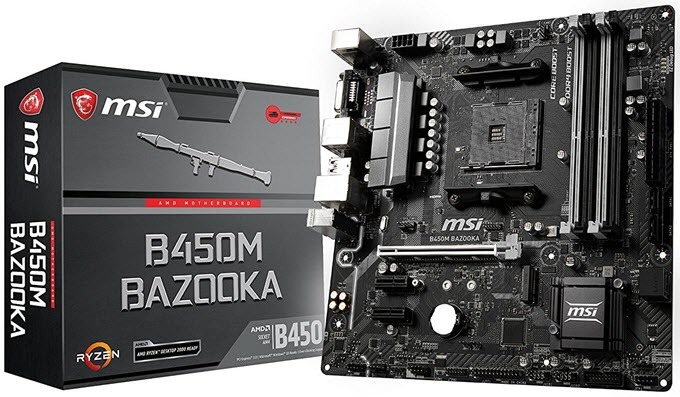 MSI B450M BAZOOKA is another great budget B450 motherboard having M-ATX form factor. Unlike above motherboards this one comes with only one PCI-E x16 slot and thus lacks Multi-GPU Crossfire support. Also, it lacks USB 3.1 Gen 2 ports which may be an issue for some users. However, it is still well equipped and comes with two PCIe x1 slots, Turbo M.2 slot for NVMe and SATA M.2 SSDs and supports DDR4 3466+(OC) MHz RAM up to 64GB. Other features of this gaming motherboard include gaming heatsinks, 8 channel audio, Gaming LAN, PCI-E Steel Armor for graphics cards, DDR4 Boost, Audio Boost, UEFI BIOS, EZ Debug LED for troubleshooting and RGB Mystic Light support. The motherboard comes with six USB 3.1 Gen 1 and four USB 2.0 ports for your high speed USB devices and storage. Overall, it is a decent B450 gaming motherboard and one of the cheapest in its class. It is well suited for building a budget gaming PC, console killer gaming PC or a budget workstation using 2nd generation Ryzen processors. Another mATX budget gaming motherboard from MSI based on B450 chipset is MSI B450 GAMING PLUS but it only supports up to 32GB RAM only. Here are the cheapest B450 motherboards that can be used for building a budget gaming PC or workstation PC for video editing etc. using AMD Ryzen 2000 series APU with Vega Graphics. Here are the best budget B450 gaming motherboards having ATX form factor. These ATX motherboards are a bit costlier than the above mentioned budget Micro-ATX B450 motherboards. All the below mentioned motherboards come with extra expansion slots and ports for connectivity. MSI B450 TOMAHAWK is the Arsenal Gaming Series motherboard from MSI that comes with great build quality, heavy heatsinks for important components (VRM and Chipset) and allows you to personalize it by customizing heatsink cover by using stickers. This B450 gaming motherboard comes with almost all the advanced features that you find in a flagship gaming motherboard. The motherboard comes with two PCI-E x16 slots for graphics cards and supports AMD CrossFire multi-GPU technology. It has got three PCIe x1 slots for hooking up add-on devices such as sound card, Wi-Fi adapter etc. For high speed M.2 SATA and PCIe NVMe SSDs it comes with a Turbo M.2 slot / port. The motherboard has got 4 DIMM slots and supports DDR4 RAM (3200MHz OC) up to 64 GB capacity. Other features of this gaming motherboard include PCI-E Steel Armor slot, 8 Channel onboard audio, Gaming LAN, UEFI BIOS, 6 fan headers, Game Boost, USB 3.1 Gen 2 and USB Type-C ports and RGB Mystic Light Sync support. Overall, an affordable, durable and feature rich B450 motherboard for building a powerful gaming rig using 2nd generation AMD Ryzen 5 or Ryzen 7 processors. 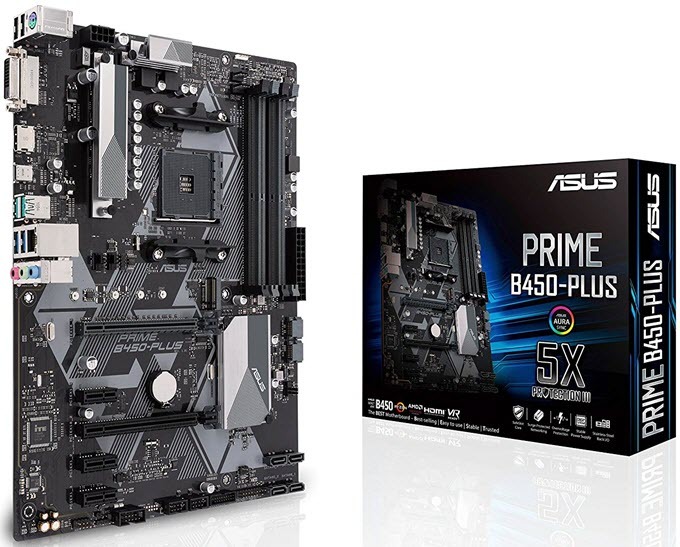 ASUS PRIME B450-PLUS is an affordable ATX motherboard based on the B450 chipset. This motherboard can be used for gaming PC as well as for workstation computer. It is a highly reliable and durable motherboard that comes with two PCI-E x16 slots with CrossFire support, three PCI-E x1 slots and one M.2 slot for connecting high speed solid state drives i.e. M.2 SATA and NVMe SSDs. The motherboard supports DDR4 3200(O.C.) RAM and comes with 7.1 Channel Realtek audio, Gigabit LAN. Asus SafeSlot, UEFI BIOS, USB Type-C and USB 3.1 Gen 2 ports for connecting fast storage devices, Asus Aura Sync RGB Header and is VR Ready. 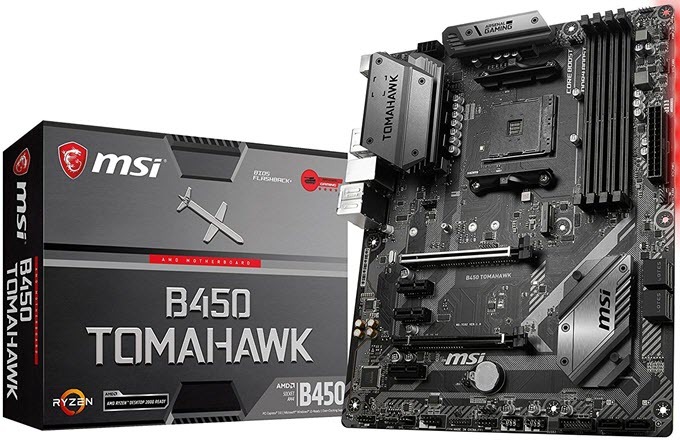 The motherboard does come with heatsinks over VRMs and chipsets but it is not as fancy as the above mentioned MSI B450 TOMAHAWK Motherboard. However, it is a value for money product from Asus and is made with high quality components and is very stable during overclocking too. Here are best mini-ITX B450 motherboards for use in small form factor Mini-ITX cases. These B450 Mini-ITX motherboards can be used to build a mid-range to a powerful compact or SFF gaming PC using Ryzen 2000 series processors. 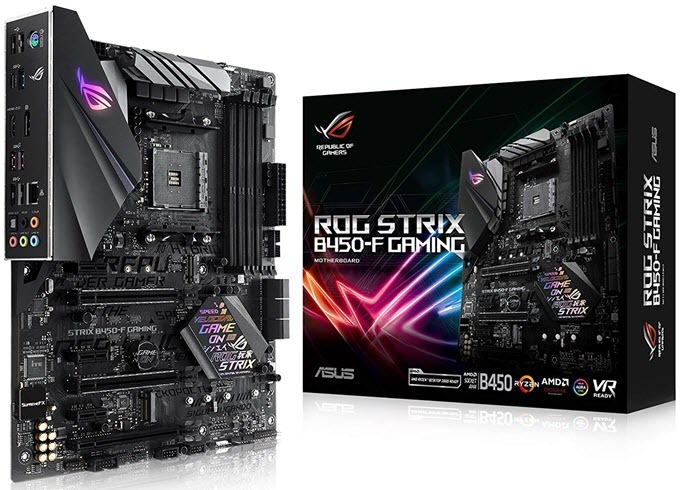 ASUS ROG STRIX B450-I GAMING is the best B450 Mini-ITX motherboard that you can get for your AMD 2000 series processors. This is a compact motherboard but it does pack a punch and does not miss out on features that you need for gaming. The motherboard comes with a single PCI-E x16 slot for graphics card, dual M.2 slots for M.2 SATA and NVMe solid state drives and supports DDR4 3400(O.C.) RAM up to 32GB capacity. The motherboard comes with M.2 heatsink, I/O shield and a M.2 Audio Combo Card with LED illuminated audio jacks. This is quite a feature rich small form factor (SFF) motherboard and has got integrated dual band Wi-Fi and Bluetooth. Other features of this mini-ITX motherboard include USB 3.1 Gen 2 ports, Gaming Audio, Asus Aura Sync RGB lighting support, Asus SafeSlot to protect against bulky and heavy graphics cards, 8 Channel Audio, Gaming LAN, UEFI BIOS and superb stability under overclocking. So, if you are looking to build a powerful SFF gaming PC using mini-ITX case, high-end SFF graphics card and 2nd Generation AMD Ryzen processors then this motherboard is what you should look for. It is a bit on the expensive side but is totally worth the performance and features that it offers in such a small package. If you want a cheaper option to ASUS ROG STRIX B450-I GAMING motherboard then MSI B450I GAMING PLUS AC is the answer. This is also a very powerful B450 Mini-ITX motherboard and comes with all the gaming features and essential ports. The motherboard comes with one PCI-E x16 slot for graphics card, one M.2 port for PCIe 3.0 x4 NVMe and SATA SSDs and supports DDR4-3466+(OC) Memory up to 32 GB capacity. The motherboard lacks USB 3.1 Gen 2 ports which is a bit of let-down but it comes with six USB 3.1 Gen 1 ports. The motherboard has got integrated Dual band Wi-Fi & Bluetooth which comes in very handy for gaming and connectivity. Other features of this mini-ITX gaming motherboard include gaming heatsinks, onboard 8 channel HD audio, Gigabit gaming LAN and RGB headers. According to me this is the best budget Mini-ITX B450 motherboard for building a mid-range small form factor compact gaming using Ryzen 2000 series CPUs and a powerful compact graphics card. Highly Recommended by me. Here are the top-end B450 motherboards for gaming enthusiasts. These are all ATX motherboards and packs all the advanced features have more expansion ports / headers for connectivity. They are solidly built and comes with better heatsinks, durable I/O shield and RGB LED lighting. This is the flagship or top-end B450 motherboard from Asus. 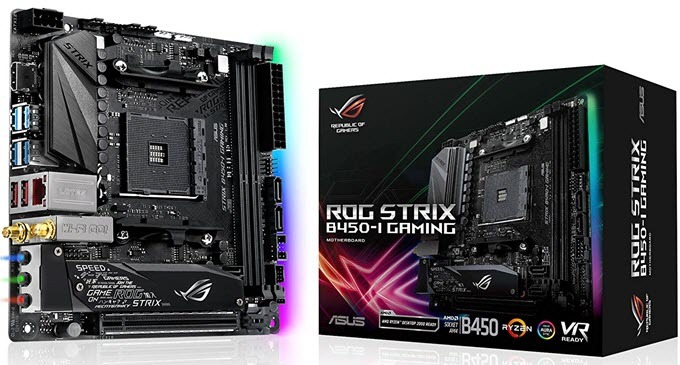 ASUS ROG STRIX B450-F GAMING motherboard comes with lots of features and additional ports / slots for connectivity. 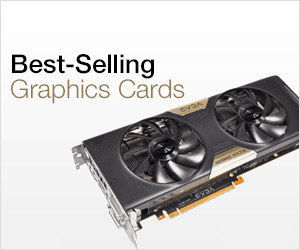 The motherboard comes with three PCI-E x16 slots for graphics cards and supports AMD 3-Way CrossFireX Technology. For add-on cards, it has got three PCIe x1 slots and for connecting high speed NVMe and M.2 SATA Solid State Drives it has got two M.2 slots. This high-end gaming motherboard supports DDR4 RAM (3200 OC) up to 64 GB capacity. Other features include RGB LED lighting & Asus Aura Sync RGB support, 8 channel audio, I/O shield, Asus SafeSlot, gaming heatsinks, VR ready, USB Type-C & USB 3.1 Gen 2 ports and S/PDIF optical out jack. This is a solidly built motherboard and if you are building a high-end gaming PC with 2nd generation Ryzen 7 processors then this motherboard won’t disappoint you. This is a high-end B450 motherboard from Gigabyte that is very similar in quality to the above mentioned ASUS ROG STRIX B450-F GAMING motherboard. This motherboard comes with in-built dual band Wi-Fi & Bluetooth which means you do not have to spend extra money on USB or PCIe Wireless Adapters. 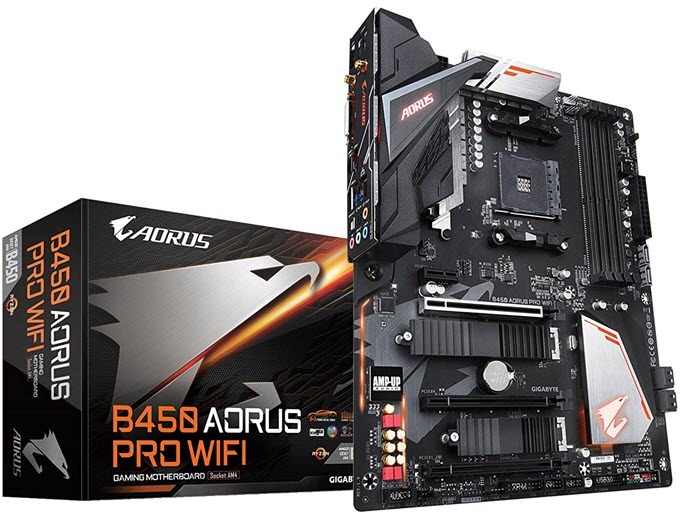 Gigabyte B450 AORUS PRO WIFI motherboard has got three PCI-E x16 slots supporting AMD Quad-GPU CrossFire and 2-Way AMD CrossFire but has got only one PCI-E x1 slot for adding an expansion card. For high-speed storage devices it comes equipped with dual M.2 slots with thermal guard / heatsink for M.2 NVMe and SATA SSDs. The motherboard supports 64GB DDR4 RAM @ 3200MHz and comes with features such as 8 channel audio, Gigabit gaming LAN, Dual BIOS, I/O shield and heatsink, RGB Fusion LED lighting, Smart Fan 5 fan control, RGBW fan header and 5 Hybrid Fan Headers. Overall, a very good gaming motherboard and is a bit cheaper than the Asus ROG STRIX B450-F GAMING motherboard. Great for building a high-end gaming PC with 2nd generation Ryzen 7 processor and high-end graphics card such as GeForce GTX 1070 or GTX 1080. 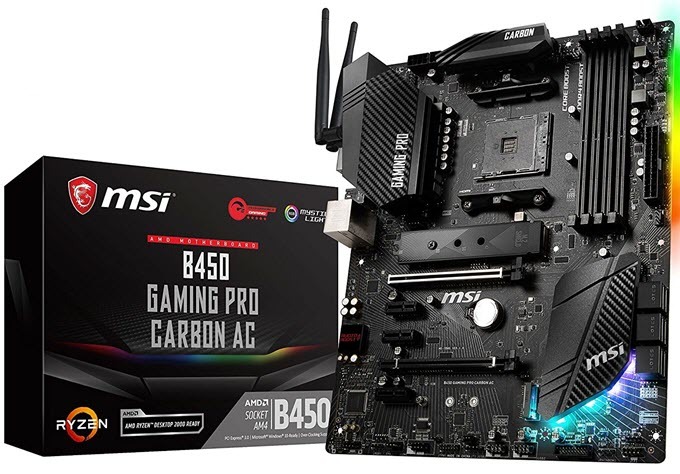 Last but not least we have MSI B450 GAMING PRO CARBON AC, which according to me is the ultimate B450 motherboard and is even better than the above-mentioned flagship Asus and Gigabyte B450 motherboards. The motherboard is built like a tank and offers all the gaming features and good number of expansion slots and ports. It has got two PCI-E x16 slots for graphics cards with CrossFire support and three PCIe x1 slots for add-on cards. Like other high-end gaming motherboard, it also comes with dual M.2 slots with heatsinks for hooking up high speed NVMe and SATA M.2 solid state drives. The motherboard supports DDR4-3466+(OC) Memory up to 64GB capacity and RGB Mystic Light for RGB lighting. It also comes with Integrated dual band Wi-Fi and Bluetooth. 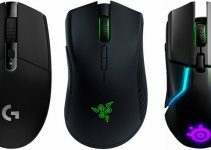 Other features include UEFI Gaming BIOS, Onboard 8 Channel audio, Gaming LAN, PCI-E Steel Armor for bulky graphics cards and is a VR Ready motherboard. The motherboard is a bit on the expensive side but it is worth it considering the quality and features it offers. This motherboard is for enthusiasts who want to build a high-performance gaming PC using AMD Ryzen 7 2700X processor and graphics card such as GTX 1080 or Radeon RX Vega 64. I think the launch of B450 chipset has made the gaming market more competitive and it is certainly not a good news for Intel. Now mainstream gamers can easily build powerful mid-range or budget gaming PC using AMD 2000 series processors without shedding too much money. AMD B450 chipset motherboards are just as powerful and good as the X470 ones and they offer all the latest features such as StoreMI, Precision Boost Overdrive, XFR 2 that were mainly found in the higher end AMD motherboards only. If you still have any doubts or questions regarding B450 motherboards or gaming PC then do ask me by leaving a comment below. Do you recommend the amd ryzen 5 2600 gen2? for a budget gaming system. if so which motherboard would you go for? the MSI B450 gaming pro Carbon? Hello, I highly recommend Ryzen 5 2600 for a budget gaming build. For motherboard MSI B450 gaming pro Carbon is great and other good option would be Gigabyte B450 AORUS PRO WIFI. Which Ryzen cpu would be the best to pair with the RX 570 4gb OC version? I’m confused on which motherboard I should go for? Keeping in mind that I would like to overclock,which cpu would be the best value for money? An onboard wifi would be great too. I want a motherboard that would support upgrading the cpu n gpu to a high end gaming rig after a while. Thanks in advance. For CPU, I suggest Ryzen 5 2600 and for motherboard i would say MSI X470 GAMING PLUS Motherboard is quite good. Hi Akshat. Thank you for the prompt reply. Since I came across your stuff while looking for a good pc built, I have gone through many of your articles and its very informative and helpful. Great job. U just earned a big fan. Thank you once again. Cheers. Thanks Zach for the appreciation! I would like to echo Zach’s sentiment…I have built a lot of budget-minded workstation/gaming rigs in the past but its been a handful of years. I typically like to stick with AMD because they are definitely more for budget-minded consumers without the cost of Intel, but they don’t sacrifice performance either. Anyways, with the plethora of motherboards out there for the Ryzen series and even for a technical person like myself, I found all the options kind of dizzying to put into perspective and this article does that in perfect detail. Thanks again! Yes, with Ryzen processors, AMD has really hit the sweet spot in terms of price and performance. You should have gone for a B450 chipset motherboard because A320M chipset does not support overclocking, and thus you will not be able to unlock the full performance of Ryzen 5 2600 processor. The graphics card is pretty good for 1080p gaming at ultra settings. Thanks but do i really have to go for overclock? I wont do hard things, im like a mainstream user and use for a lil bit gamig, design and some little rendering job. What do you think? Well, If you are a mainstream user then it will be okay. However, if you have budget for B450 then it would be a good decision to buy a better chipset because you will get more USB ports, better stability (more VRMs) and overall better performance.